Get outdoors at Granville Island and VanDusen Botanical Garden. Next up on the itinerary: stroll through Stanley Park, look for gifts at Kaarigar Handicrafts Inc., enjoy the sand and surf at Kitsilano Beach, and take a stroll through Gastown. To see reviews, maps, where to stay, and tourist information, read our Vancouver trip planner . Johor Bahru, Malaysia to Vancouver is an approximately 21-hour combination of bus, subway, and flight. You can also do a combination of bus, subway, flight, and train; or do a combination of bus, subway, flight, and shuttle. Traveling from Johor Bahru to Vancouver, you'll gain 16 hours due to the time zone difference. Prepare for much colder weather when traveling from Johor Bahru in January: high temperatures in Vancouver hover around 8°C and lows are around 3°C. Finish your sightseeing early on the 3rd (Thu) so you can fly to Whistler. Kick off your visit on the 4th (Fri): glide through natural beauty at Whistler Blackcomb. To see maps, where to stay, other places to visit, and more tourist information, go to the Whistler route builder website . Getting from Vancouver to Whistler by flight takes about an hour. Other options: drive; or take a shuttle. Traveling from Vancouver in January, expect Whistler to be little chillier, temps between 1°C and -5°C. Finish up your sightseeing early on the 4th (Fri) so you can go by car to Banff National Park. 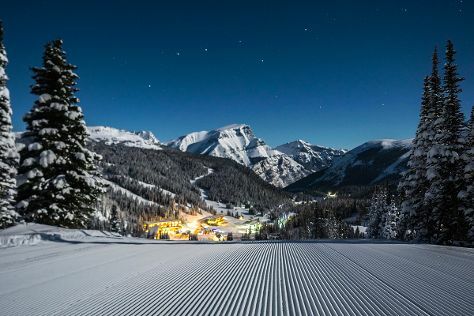 Escape the urban bustle at Sunshine Village and Lake Louise. On the 7th (Mon), spend an exhilarating day on the slopes at The Lake Louise Ski Resort. The adventure continues: contemplate the waterfront views at Moraine Lake and get to know the fascinating history of Fairmont Chateau Lake Louise. Before you visit Banff National Park, use our trip planner to discover what you can do and see there. Drive from Whistler to Banff National Park in 10.5 hours. Alternatively, you can take a bus. The time zone difference when traveling from Whistler to Banff National Park is 1 hour. In January, Banff National Park is slightly colder than Whistler - with highs of -7°C and lows of -16°C. Finish your sightseeing early on the 7th (Mon) so you can travel to Toronto. 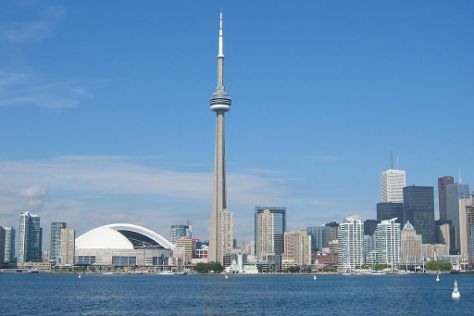 Start off your visit on the 8th (Tue): make a trip to CN Tower, then appreciate the extensive heritage of The Distillery District, and then admire the landmark architecture of St. Lawrence Market. Here are some ideas for day two: examine the collection at Royal Ontario Museum, step into the grandiose world of Casa Loma, and then take in the spiritual surroundings of St Michael's Cathedral Basilica. To see where to stay, photos, and tourist information, refer to the Toronto trip website . You can do a combination of shuttle and flight from Banff National Park to Toronto in 10.5 hours. Other options are to do a combination of shuttle, flight, and train; or drive. Due to the time zone difference, you'll lose 2 hours traveling from Banff National Park to Toronto. Prepare for a bit warmer weather when traveling from Banff National Park in January: high temperatures in Toronto hover around -1°C and lows are around -8°C. Finish up your sightseeing early on the 9th (Wed) so you can travel to Montreal. Kick off your visit on the 10th (Thu): take in the architecture and atmosphere at Notre-Dame Basilica, get a new perspective on nature at Biodome de Montreal, and then contemplate in the serene atmosphere at Saint Joseph's Oratory of Mount Royal. For photos, more things to do, and tourist information, read Montreal trip maker tool . Traveling by flight from Toronto to Montreal takes 3 hours. Alternatively, you can take a train; or drive. Prepare for a bit cooler weather when traveling from Toronto in January: high temperatures in Montreal hover around -5°C and lows are around -13°C. 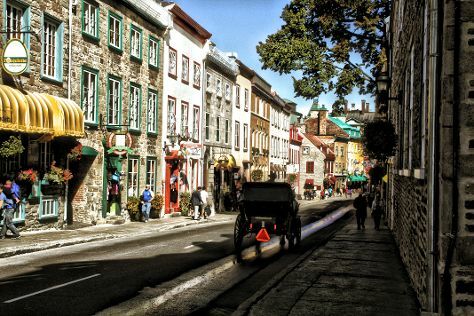 Cap off your sightseeing on the 10th (Thu) early enough to go by car to Quebec City. Start off your visit on the 11th (Fri): admire the majestic nature at Parc de la Chute-Montmorency and then appreciate the extensive heritage of Old Quebec. On the 12th (Sat), you'll have a packed day of sightseeing: take in the architecture and atmosphere at Cathedral of the Holy Trinity, then take in the spiritual surroundings of Basilique Cathedrale - Notre-Dame-de-Quebec, then wander the streets of Terrasse Dufferin, and finally appreciate the extensive heritage of Place Royale. To find other places to visit, ratings, more things to do, and more tourist information, read our Quebec City trip planning tool . Traveling by car from Montreal to Quebec City takes 3 hours. Alternatively, you can take a bus; or take a train. Expect slightly colder evenings in Quebec City when traveling from Montreal in January, with lows around -17°C. Finish your sightseeing early on the 12th (Sat) to allow enough time to travel back home.